When You're Ready To Shred, Think Red! Federal and state legislation requires all organizations comply to privacy standards. Businesses are liable for the protection of sensitive information from the time it is collected to the time it is destroyed. According to FACTA, "reasonable measures need to be taken to protect against unauthorized access to or use of the information in connection with its disposal." Failing to maintain compliance includes potentially serious fines and penalties. Identity theft costs businesses over $200 billion each year across the world. We are a green organization. 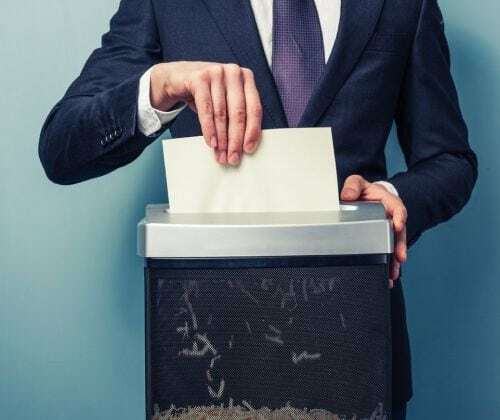 View our Green Fact Sheet to view the environmental benefits of using our shredding services. © 2018, The Red Shredder. All Rights Reserved.